I got home from work and ditched the work clothes and put on something more comfortable and headed straight for the bar. It doesn’t happen very often, but every once in a while, after a very long and trying day, I need a beer or two to wash away the day’s worries and just relax, even if it is just for that little bit of time. The George Tank also comes in two styles, tucked and untucked. It’s best to be comfortable when throwing back with a beer or two. Categories: accessories, fitted mesh, Free, group gifts, just for guys, mens, mesh, pants, shirt | Tags: 0L, ADAM, Aloha Beach, argrace, BHB, Carson Caiben, Catwa, fab free, fabfree, fabulously free in SL, fashion, free, free fashion sl, free in sl, free sl, freebie, freebies, freebies sl, gift, gifts, Ikon, just for guys, Labyrinth, mens, Mens Where?, Nivaro, Rebellion, Second Life, Serendipity, sl, The Free Dove, Uncategorized | Permalink. I found today’s outfit on the Marketplace for just 1L. The Justin Complete Outfit by ::PCF:: is an all-in-one outfit (jacket, pants, and shoes) and comes in five fitmesh sizes S-XL. It’s a nice casual look for mudding or whatever else you may be up to for fun. 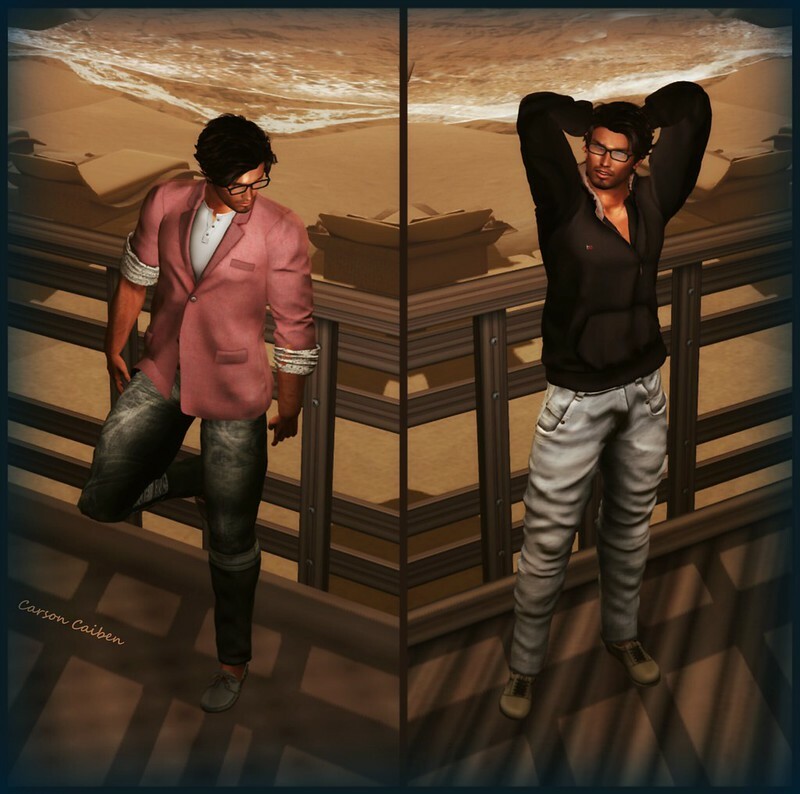 Categories: all-in-one outfit, just for guys, Marketplace, mens, mesh | Tags: 0L, ADAM, argrace, Carson Caiben, Catwa, Double Take, fab free, fabfree, fabulously free in SL, fashion, free, free fashion sl, free in sl, free sl, freebie, freebies, freebies sl, gift, gifts, Ikon, just for guys, Labyrinth, mens, Mens Where?, Nivaro, PCF, Project Crystal's Fashion, Rebellion, Second Life, sl, Somewhere, Uncategorized | Permalink. He came into this world as a perfect creation, no possessions or clothes… just as it still is today. Today I come to you in all my glory to show off a FREE male pose from the Marketplace. The Classic Male Pose 2 is a FREE gift by Clever Language Poses. I’m never one to turn down a free pose. And this one is worth the effort of clicking a few buttons. 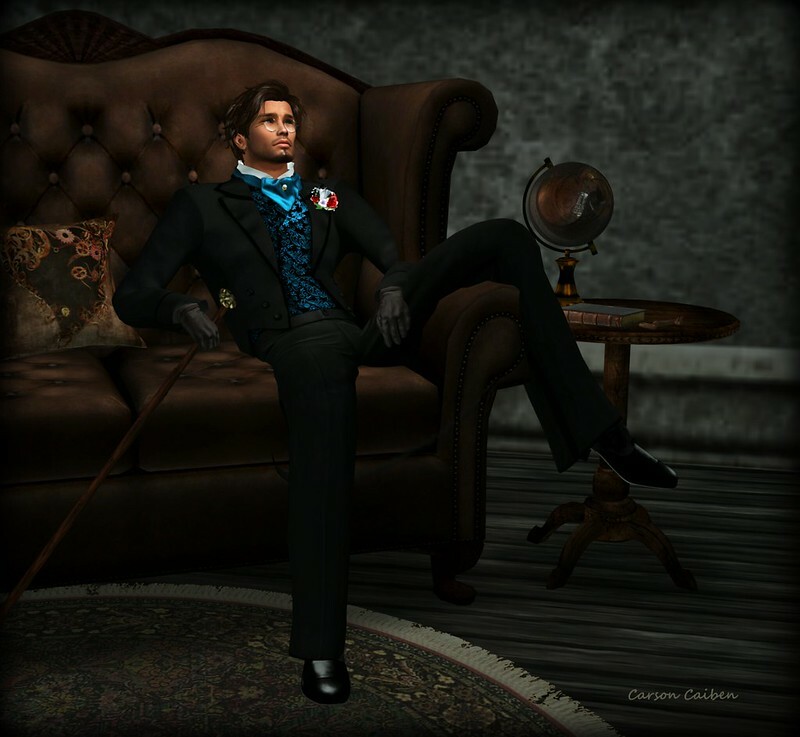 Categories: Free, just for guys, mens, poses, Uncategorized | Tags: 0L, ADAM, Carson Caiben, Catwa, Clever Language Poses, fab free, fabfree, fabulously free in SL, fashion, free, free fashion sl, free in sl, free sl, freebie, freebies, freebies sl, gift, gifts, Ikon, just for guys, Labyrinth, mens, Mens Where?, Nivaro, Second Life, sl, Tram, Uncategorized | Permalink. The city is full of sights, sounds, and smells (“ew”) to bring your senses to life. All you have to do is allow your mind to see, hear, and smell (“ew”) them. Categories: events, fitted mesh, group gifts, just for guys, mens, mesh, outerwear, Uncategorized | Tags: 0L, ADAM, Alter, Carson Caiben, Catwa, fab free, fabfree, fabulously free in SL, fashion, free, free fashion sl, free in sl, free sl, freebie, freebies, freebies sl, gift, gifts, GlamRus, Ikon, just for guys, Labyrinth, mens, Mens Where?, MTA, Nivaro, Rebellion, Second Life, Sense Event, sl, Somewhere, Uncategorized | Permalink. As Love mentioned [HERE], there are so many free items at Free Dove. There is also a hunt for group members. Locate the golden heart to find the Blue Christian Suit, one of the hunt prizes by Marquesse. This one-piece suit includes shoes and comes in classic sizes XS-XL. It’s FREE to join the group so why not hunt for this fabulous prize. She actually says that a lot, but also told me about the latest group gift from no.match. She also said that I would most certainly like it. And she was right. The no.vault hair comes with a color change HUD to match your choice of color. The gift is FREE to members but the group does have a 50L join fee. Now I have another choice of hairstyle to put in my rotation. 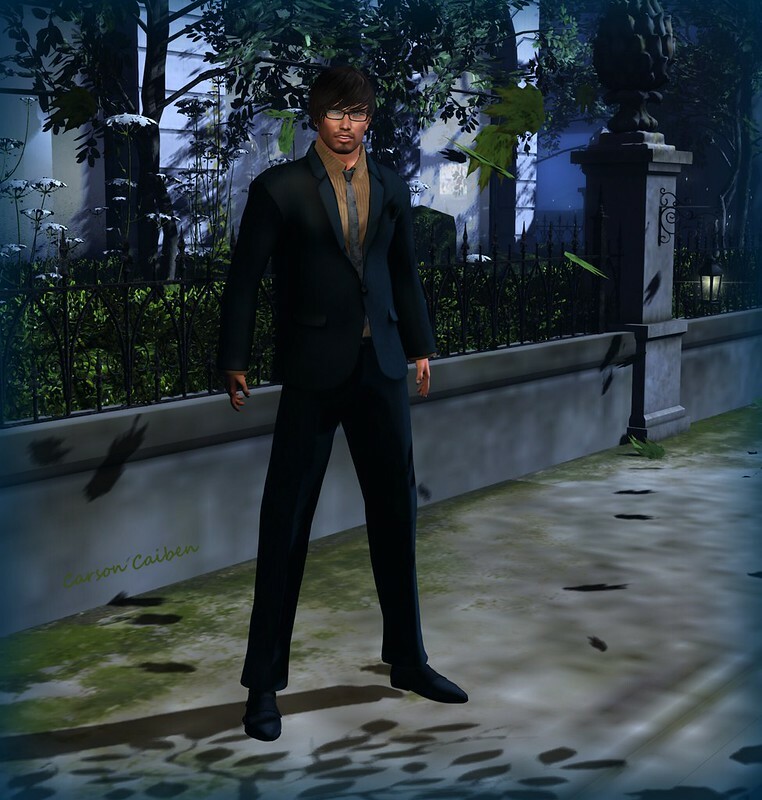 Categories: accessories, business wear, Free, group gifts, hunts, just for guys, mens, mesh, places, shoes, Uncategorized | Tags: 0L, ADAM, Carson Caiben, Catwa, Essences, fab free, fabfree, fabulously free in SL, fashion, free, Free Dove, free fashion sl, free in sl, free sl, freebie, freebies, freebies sl, gift, gifts, Ikon, just for guys, Labyrinth, Marquesse, mens, Mens Where?, Nivaro, No Match, Rebellion, Second Life, sl, Uncategorized | Permalink. I bring news today of a fabulous male hunt at A&D Clothing . Find the six hunt items that comprise of two fabulous outfits. The quests start by reading the first clue and then work your way around the store until all six gifts are found. The first outfit is made up of the Enzo Coral Blazer, the Zeland Army Pants, and the Nautics Seaweed Shoes. Outfit 2 is comprised of the Smith Coffee Hoodie, The Justin Ivory Pants, and the Barcelona Sand Shoes. The hunt is FREE to everyone, so take advantage of this great hunt. Categories: accessories, fitted mesh, Free, just for guys, mens, mesh, pants, places, poses, shirt, shoes, Uncategorized | Tags: 0L, A&D Clothing, ADAM, Carson Caiben, Catwa, fab free, fabfree, fabulously free in SL, fashion, free, free fashion sl, free in sl, free sl, freebie, freebies, freebies sl, gift, gifts, Ikon, just for guys, Labyrinth, mens, Mens Where?, Miami (Florida USA), Nivaro, Rebellion, Reel Poses, Second Life, sl, Uncategorized | Permalink. Everyone goes through this eventually. Waking up in the middle of the night wide awake and no matter how hard you try, there is just no getting back to sleep. 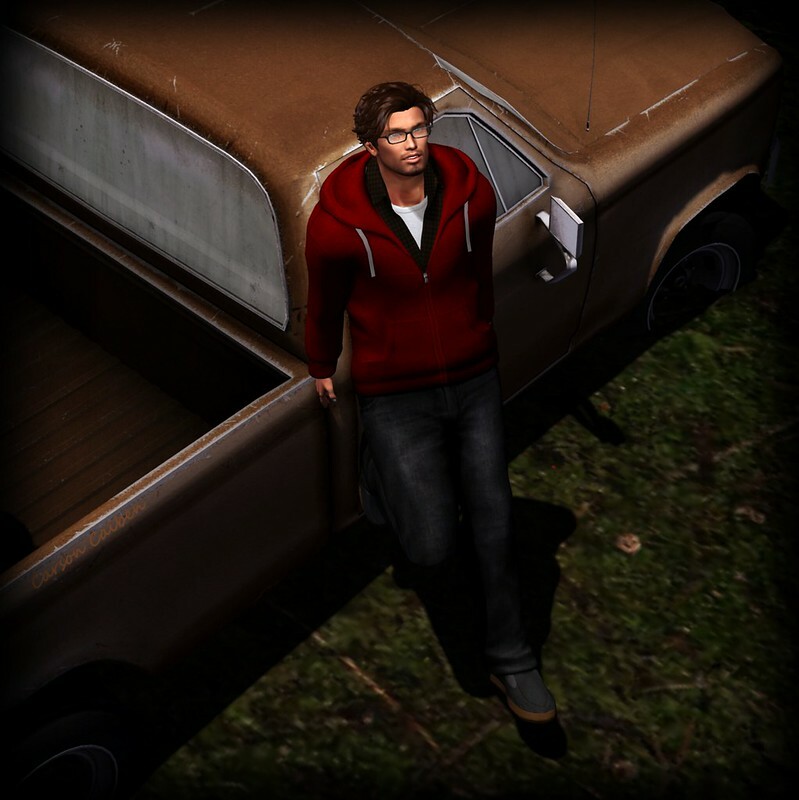 So I got dressed and decided to walk the lonely streets of Second Life to burn off this wide awake feeling. Categories: accessories, fitted mesh, Free, group gifts, just for guys, mens, mesh, outerwear, pants, places, shoes, Uncategorized | Tags: 0L, ADAM, After The Fall, argrace, Carson Caiben, Catwa, fab free, fabfree, fabulously free in SL, fashion, free, free fashion sl, free in sl, free sl, freebie, freebies, freebies sl, gift, gifts, Ikon, just for guys, Labyrinth, Lupus Femina, mens, Mens Where?, Nivaro, Propose, Rebellion, Second Life, sl, Uncategorized | Permalink. ♫Just got home from Illinois lock the front door oh boy! …isn’t going to happen anytime soon, but I’m dreaming of when I can relax outside and watch nature run wild. My look today is one of the group gifts from Spazio. The AUG 44 Outfit includes a shirt, pants, shoes and a scarf in classic XS-XL sizes. The scarf is resizable for the perfect look. The Hipnose-Spazio group is FREE to join and gifts are FREE to group members. ♫ Bother me tomorrow, today, I’ll buy no sorrows. 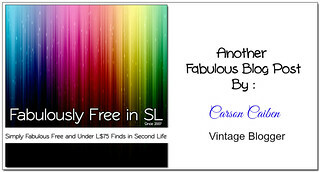 Categories: accessories, group gifts, just for guys, mens, mesh, pants, shirt, shoes, Uncategorized | Tags: 0L, ADAM, Carson Caiben, Catwa, fab free, fabfree, fabulously free in SL, fashion, free, free fashion sl, free in sl, free sl, freebie, freebies, freebies sl, gift, gifts, Ikon, Izzie's, just for guys, Labyrinth, mens, Mens Where?, Nivaro, Rebellion, Reel Poses, Second Life, sl, Spazio, Tram, Uncategorized | Permalink. Guys, we’ve all been there… Hearing those magic words “I’ll be just 5 more minutes“. Translated into real time, that’s a minimum of 30 minutes. I might as well find something to keep myself occupied while I wait. I added the Male Bento Gloves, the FREE group gift still available at E-Clipse Design. 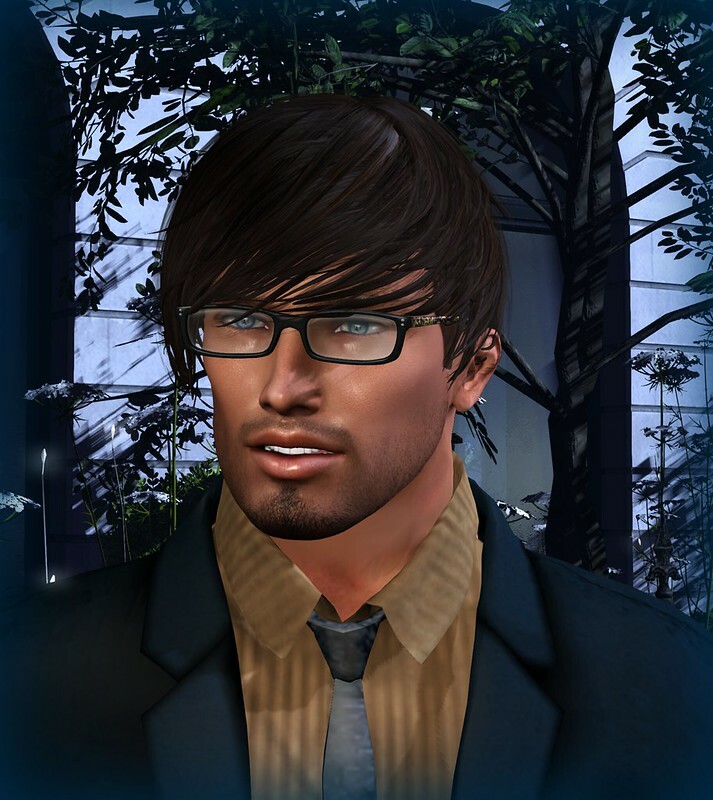 I also found a pair of Wireframe Glasses, a FREE gift (don’t confuse it with the group gift) at Heth Haute Couture. I also found a 1L Snazzy Walking Stick on the marketplace. Categories: accessories, dollarbie (1L-3L), formalwear, Free, group gifts, hunts, just for guys, Marketplace, mens, mesh, places, shoes, Uncategorized | Tags: 0L, 1L marketplace, ADAM, All 'stuff Hunt, argrace, Carson Caiben, Catwa, e-clipse designs, fab free, fabfree, fabulously free in SL, fashion, free, free fashion sl, free in sl, free sl, freebie, freebies, freebies sl, gift, gifts, Heth Haute Couture, Ikon, just for guys, Labyrinth, mens, Mens Where?, Nivaro, Oz the Great and Powerful, Second Life, sl, Uncategorized | Permalink. Show yourself some love and pick these boxers up today. Categories: dollarbie (1L-3L), fitted mesh, just for guys, Marketplace, mens, mesh, swimwear, Uncategorized | Tags: 0L, 1L marketplace, ADAM, argrace, Carson Caiben, Catwa, fab free, fabfree, fabulously free in SL, fashion, free, free fashion sl, free in sl, free sl, freebie, freebies, freebies sl, gift, gifts, Ikon, just for guys, Labyrinth, mens, Mens Where?, Nivaro, Second Life, sl, The North Lighthouse, Uncategorized, [ADN] Designs | Permalink.